Chris Christie is a NO? 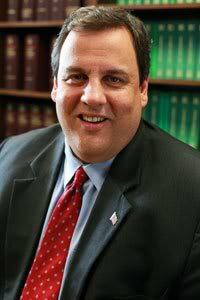 I’m not sure where the Talking Heads are getting their insider information, but I would be awfully surprised if Governor Christie decided to enter the Republican presidential race at this stage of the game, especially after his repeated public denials of any interest in doing so. But the Governor’s firmly stated non-presidential intentions haven’t muzzled those mavens of manufactured drama within the news commentary community. Far from it. For whatever reason, the chatter crowd, including our conservative colleagues on the Right, are all agog at the possibility of a larger-than-life Christie for President campaign. As an example….the Weekly Standard today published an article by Jay Cost declaring that it was now or never time for Governor Christie if indeed the big guy was genuinely possessed of presidential ambitions. In fact, Cost seemed to think that the political path of Mr. Christie was “eerily similar” to that of a previous presidential contender from New Jersey, that godfather of early 20th century progressivism and the 28th president of the United States, Woodrow Wilson. Cost goes on to compare the political landscape faced by Wilson back in the early 1900s with today’s presidential opportunity tantalizingly within reach of the current gubernatorial incumbent in New Jersey, and concludes that for Christie, it’s most definitely Giddy Up time. So completely convinced is Mr. Cost by his sketchy historical analysis and his crystal ball ability to predict the dynamic elements of the volatile American political scene, that he even goes on to posit a Christie gubernatorial defeat in 2013. In other words, Christie has nothing to lose and everything to gain by taking up the presidential gauntlet for 2012 and turning his back on the citizens of New Jersey. Today, it (New Jersey) is a Democratic state, and Christie only won the governorship because of widespread dissatisfaction with the Corzine administration. It’s highly questionable that he’ll be able to win reelection in 2013, especially if the Republicans take the White House and, with it, any blame if the economy is still weak. What’s more, the kinds of positions he’ll have to take to win reelection in New Jersey will assuredly harm him with the conservative GOP base, should he run in 2016 or 2020. Ah, how clearly Mr. Cost foresees the political future. His eagle eyes can penetrate right into that presidential wonder year of 2020 A.D. And how neatly his factual fantasies all fit into place. But I’m buying none of it. I think Mr. Cost is quite simply a Chris Christie fan. Nothing wrong with that. But please, don’t sucker your readers into believing that the sacred Sirens of history are calling your candidate’s name. If the Governor does indeed enter this presidential campaign, the excitement level will most certainly escalate and the Democrat machine will have one heck of a time getting the media to positively focus on that progressive drip in the White House. But come on, Mr. Cost, I don’t think we’ll be hearing the loud blast of Gabriel’s heraldic trumpet if the big man from New Jersey finally steps forward. This entry was posted in Political/Social and tagged Chris Christie, Jay Cost, New Jersey, presidential campaign, Weekly Standard, Woodrow Wilson. Bookmark the permalink.